Actress and singer Anjali Bhimani is best known as the voice of Symmetra in Overwatch and Nisha in Fallout 4: Nuka-World. 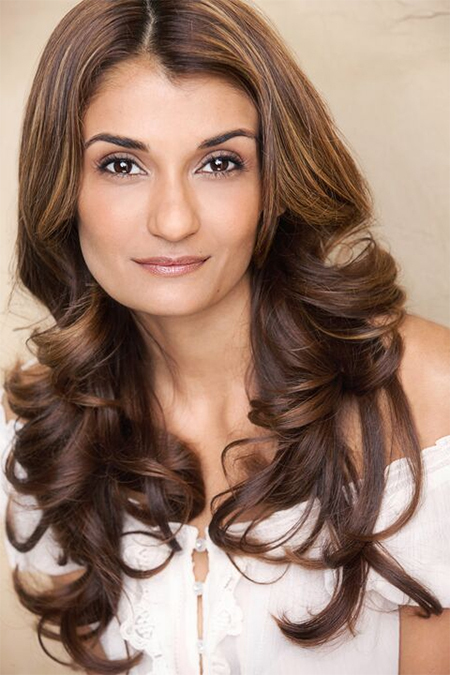 On TV, fans know her as Nina Patel on Modern Family and Wendy on Cassandra French’s Finishing School (currently airing on Fullscreen), and from appearances on such hit shows as NCIS: Los Angeles, Criminal Minds: Beyond Borders, The Sopranos, Law and Order: SVU, and many, many others. She can be seen in the film Trafficked with Ashley Judd, and playing pageant queen Pinky Matthews in the hit movie Miss India America. On Broadway, she played Bollywood diva Rani in Andrew Lloyd Webber’s Bombay Dreams and Myrrha in Mary Zimmerman’s Metamorphoses. She’s the creator of the I Am Fun Size series of life hack/positivity YouTube series.